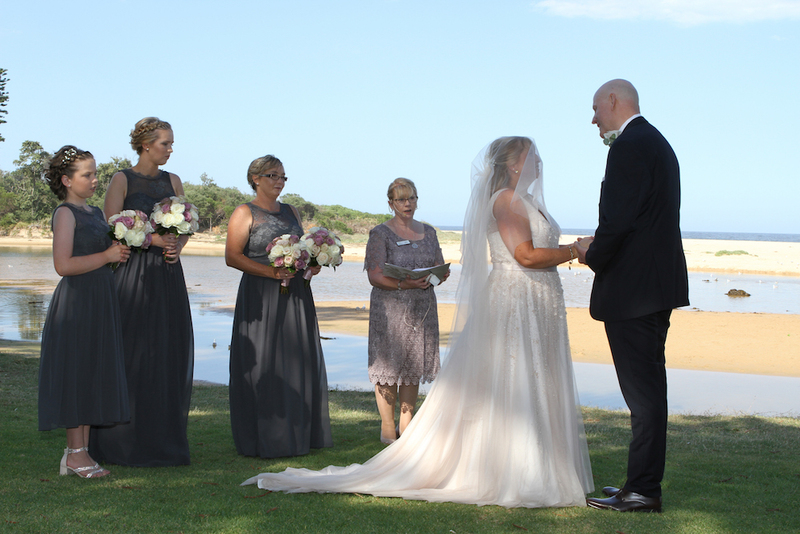 As Wollongong locals, Raewyn and Paul have known Lagoon for years so when it came time to choose their Wollongong wedding ceremony and reception, it was an easy decision. The ceremony was beautifully tranquil, with red carpet rolled out on the grass on the foreshore of the lagoon. Raewyn looked a picture in a beaded Wendy Makin gown. After the ceremony, Raewyn and Paul celebrated with 56 guests in the Moonlight Room, decorated with off-white satin chair covers, glass and mirror centrepieces and Lagoon’s birdcage wishing well. Following a Lagoon Lace cocktail on arrival, guests enjoyed Seafood Antipasto Platters with prawns, oysters, Balmain Bugs, cured meats, olives and feta, followed by entrees of Chicken Cardidi and Pappardella Carbonara. 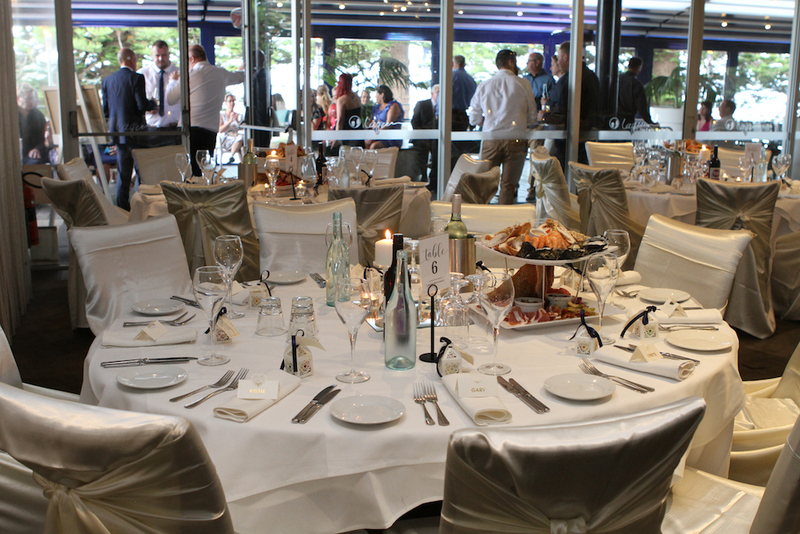 For main course, guests were served Lagoon’s famous Barramundi Nick, and Black Angus Eye Fillet. Classic choices of Tiramisu and Creme Brûlée polished off the meal perfectly. MC and DJ Chris from Siva Sounds did a fantastic job of keeping the evening flowing and the dance floor pumping! Raewyn and Paul will soon jet off to their honeymoon in Hawaii. Congratulations to you both and enjoy reliving the memories!